Private Event. Contact WAOW for the password to enter competition. Approximately $20,000 in cash, merchandise and sponsor awards. Winners will be posted on our website. Ann Larsen: Ann Larsen paints plein air from Maine to California. During her career she has been in many gallery and museum exhibitions. Ann’s list of awards includes Master Signature Silver in 2015 American Woman Artists National Exhibit, Outstanding Landscape in 2016 American Women Artists National Exhibit and two Awards of Excellence from Oil Painters of America Eastern Regional Exhibits. Please read this entire prospectus carefully before entering your work. Mark these dates on your calendar. No Exceptions will be made! August 26 - 30 11am - 5pm Hand-delivered work to arrive at MWFA. Refer to MWFA gallery hours, posted on website or call 303-938-1588. September 11 8:00am Paint Out artists only registration at MWFA. 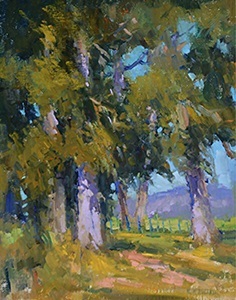 September 11 9:00 - 1:00pm Plein Air paint out in Boulder. We will be painting on a beautiful private property in Boulder. Lunch is provided. Please sign up online at (waow.org members only page) prior to the show to register for this event to reserve your spot! September 12 3:30 - 4:30pm Awards presentation at MWFA. Ann Larsen presenting. September 12 9:00am - noon Demonstrations by WAOW artists at MWFA. September 12 5 - 8:00pm Show reception/opening, MWFA. 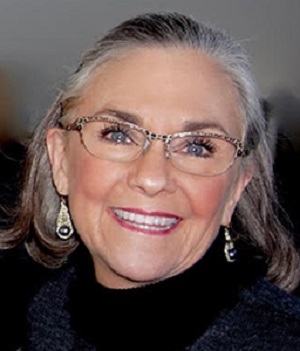 September 13 9:00 - Noon Demo by Ann Larsen at MWFA. 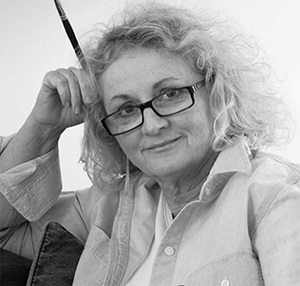 Mary Williams will also talk about what a gallery owner looks for when selecting art for their gallery. September 13 1 - 3:00 pm WAOW general meeting/ President’s talk at the Best Western. October 14 - 18 11:00 am - 5:00 pm. Unsold hand-delivered art to be picked up. October 12 - 24 Unsold art will be packed and shipped during this time. We have booked a block of rooms at the Best Western – Boulder Inn. Please go to this link for info on how to reserve a room. Please read carefully. There will be no exceptions to deadlines, specs or rules. Open to all Associate and Signature WAOW members in good standing, working in original fine art mediums as defined by our bylaws (no prints or limited editions will be accepted.) Work created with guidance of an instructor is not eligible. By submitting to this exhibition, the artist is confirming the work entered is their own original work. Upon receipt of the accepted paintings at the exhibit location, WAOW and MWFA retain the right to refuse to display and/or allow award judging due to: misrepresentation, inadequate framing, in adequate packaging such as PEANUTS or damage from improper packaging. 2D works: Open to original work completed within the past two years (2017-2019) that has NOT been exhibited, or won an award, in previous WAOW juried shows. 2D artwork submitted may not exceed 720 sq inches (24”X 30” or 20” X 36” for example), UNFRAMED. Calculate total inches by multiplying the width by the height. A variety of sizes is encouraged. The maximum frame width is 4 inches. 3D works: 3D works must be no more than three years old (2016-2019) and exhibited no more than twice in any WAOW juried exhibition. 3D works that have won an award in a previous WAOW show are not allowed. 3D works are limited to 75 pounds each entry. Master Signature Members are automatically included in the show and do not enter through Juried Art Services. A separate invitation with more details will be sent via email. Masters may enter two non-juried pieces, 2D or 3D, with the largest unframed image dimension being 36 inches in either direction for 2D (maximum frame size of 4 inches) and a 75-pound limit for 3D. All other specifications apply. NOTE: Artwork juried into the show MUST be available to exhibit at the show and must be for sale. No substitutions for accepted work. 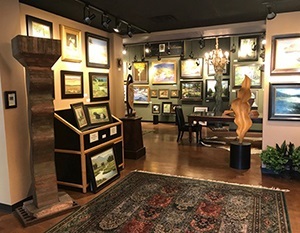 If an artwork sells prior to the show, it must still be exhibited in the show and a commission paid to the MWFA and WAOW. IMPORTANT: Failure to send accepted artwork to the exhibit will result in a two (2) year disqualification period for the artist. Sold artwork will be shipped to the buyer after the show is complete, at the buyer’s expense. MWFA will provide sales information to the artist in a timely manner. Artists with pre-sales must provide name, address and contact information of the purchaser to MWFA for shipping. FRAMING: Work must be professionally framed and ready to hang. No labels from any prior shows. No saw-tooth hangers. No metal frames. Paintings may be displayed in professionally made floater frames or gallery quality frames. No unframed gallery-wrapped paintings. Floater or shadow-box frames are required for gallery wrap paintings. Please! Make sure the painting is securely attached to the frame. A few extra fasteners will help. Add bumpers to bottom corners of your frame. For additional framing information visit the WAOW members only page. Neither WAOW nor the Gallery is responsible for breakage or replacement if work is framed under glass. It is suggested that artists who ship glass should always cover it with a product called “glass skin” which is available from companies such as Airfloat Systems. It holds the glass together in case of breakage in transit, is easily peeled off and often is easy to reuse. Submissions not meeting these requirements will not be accepted. No refund of entry fee. All submissions are to be made online at www.juriedartservices.com (JAS). If you do not have a JAS account you will need to make one. Go to www.juriedartservices.com and set up a User Name and a password to register. 2. If you would like to be considered for the Allen Plein Air Award, Please put PA after the title of your work if it was painted en plein-air. 3. Artists can view or edit their application status at any time on www.juriedartservices.com website. Please note: Your images will NOT be available to the jury until we receive your check, so if you are paying by check, don’t leave your entry until the last week. If you do plan on entering at the last minute, please pay on PayPal with a credit card. The jury starts one day after the deadline. Artists receive email notifications from Juried Art Services when they have been accepted or declined. Please check your spam filter if you do not see notification in your inbox. Fees are paid on the JAS website by credit card (or PayPal) or by mailed check made payable to WAOW sent to Dina Beerle, 2627 Sawgrass Street, El Cajon, CA 92019. Fees are non-refundable. We encourage you to enter at least three, as it gives you a better chance of acceptance. Sculptors may submit two views per piece. Digital images are assumed to be accurate representations of the entrant’s original artworks. Artwork that differs markedly from the submitted image will be disqualified. Please be aware that even though you may submit up to five (5) pieces for consideration, no more than two pieces will be selected for inclusion in this show. Mary Williams Fine Arts will pay commission directly to the artist in a timely manner. Prices should be on par with your current retail prices as shown in your galleries. Price specified on the entry will be the price listed throughout the show; no late changes. Artists will be notified that MWFA may discount according to their policy up to 10% with Artist and Gallery splitting the amount of discount equally. MWFA may put sales on layaway for 3 months (only 90 day credit). Artists will be paid when the artwork is paid in full and work is shipped. All lay-a-ways should be disbursed no later than 90 days after closing of the show or January 12, 2020. Sold artworks will be shipped at the buyer’s expense. All entries will be made at the risk of the entrant. MWFA will provide insurance on all works in the show while they are on the gallery premises. Artists are responsible for shipping insurance to and from MWFA.Submission to this show gives explicit permission to WAOW to provide artist contact information to sponsors. Although WAOW and its members will use their best efforts to prevent unfortunate occurrences, neither WAOW, its members, JAS, MWFA, nor any other organization connected with the show is responsible for loss or damage from any cause, including unpacking, hanging, or repacking. By submitting this application, Artist is agreeing to these terms. Ship only via FedEx or UPS if not hand-delivering your work. It must in at the gallery no later than August 30, 2019 or it will not be displayed in the show. No exceptions. Work shipped through the US Post Office will NOT be accepted. Please include the following in the shipping box with your artwork. Return shipping label from UPS or FedEx. You MUST include a return “prepaid” shipping label with your artwork from UPS or FedEx. Art shipped without a return label will not be displayed until a return label is provided. UPS and FedEx customer service will help you with this if you don’t know how to do this. Call their customer service on their website) You will not be charged for this label unless it is scanned when (and if) your box is returned. Failure to provide a prepaid return label will result in a $25 handling fee in addition to the bill for return shipping. A $25 check (per artist not box) made out to Mary Williams Fine Arts for the unpacking/repacking fee. Identification tag attached to the back of each painting and the bottom of each sculpture. Please use name tag format shown on labels included at the end of this prospectus. A note indicating whether you want your box returned if your piece sells. REMEMBER: Work not received by August 30, 2019, WILL NOT be displayed. Put your name and address on the outside AND inside of each box. It is also helpful to have a photo of the piece on the outside of your box. AIRFLOAT SYSTEMS Strong Boxes are recommended (20% discount to WAOW members use the Password is WAOW.) Similar shipping boxes can be purchased at FedEx, Uline, Masterpak and UPS stores. WAOW recommends using “large bubble” bubble wrap from a roll to secure the painting inside the boxes. Please keep it simple and pack tightly. Do not use scraps of odd materials to stuff around the paintings. The staff does not have the time to repack using these materials. ABSOLUTELY NO PEANUTS! Paintings packed with peanuts will be returned and will NOT be displayed in the show. This agreement between you (Artist), and Women Artists of the West (WAOW, Inc), sets out certain rules for this show. All jurying fees, shipping fees, promotional materials fee, and scanning & posting fees are nonrefundable, whether or not work is accepted and/or presented for exhibition. CATALOG: There will be an online catalog on the WAOW website. A printed catalog will be available for all exhibiting artists and for limited distribution. There will be a $15 charge for catalogs to the accepted artists payable through a PayPal button on the WAOW website or by check payable to WAOW and mailed to: Dina Beerle, 2627 Sawgrass Street, El Cajon, CA 92019. Please order early. Payment must be received before catalog goes to print. Show info will be posted on the members’- only page of waow.org. along with information on hotels, framing, packing and writing a bio.